Duly appreciate the value and quality of this yacht, launched on July 20, 2015. Location - Porto Monenegro Tivat. 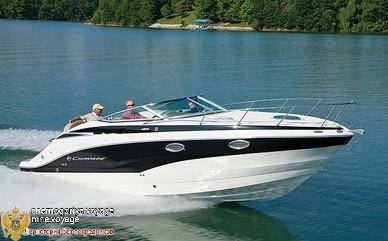 Engine - Mercruiser 5.0 L MAG MPI BRAVO III 320 h.p. Sleeping places - 4, seating capacity - 7 people. Fuel capacity - 284 liters. bimini top; sun tent; folding stainless steel frame. Stereo system Polk Waterproof (50w X 4) AM/FM/WB w/USB/SIRIUS/XM/IPOD/IPhoneBluetooth, 4 speakers with high-quality sound.